Kids run the show in this vet office. They x-ray, and work puzzles and games in order to make the animals feel better. This is a great life skills app that reinforces proper care for animals and a child’s ability to do that! There are 24 puzzles and games that will ensure continued play as they are so enticing! Kids get to clip nails, trim feathers, clear bugs in and out of the system and more! This a is presented to us by William Paten. You’re the Vet for the Day! 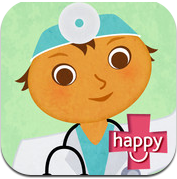 What was the initial inspiration for happyKids Veterinarian? The inspiration for our Vet app came from watching how our kids interact with the family iPads, especially the younger ones. We noticed how much our kids enjoyed playing imaginative play apps and saw an opportunity to create apps of our own in that same vein. The best aspect of the Vet app for us is the ability for children to take an active hand in helping to care for the animals. 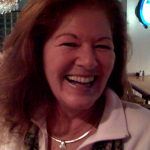 We had a great time creating happyKids Veterinarian and hope kids around the world get a kick out of it.